Bug-A-Salt Review: Is It The Urban Hunter's Dream? Just when you thought you’ve seen it all, a company comes along and declares fly control as a sport. No, I’m not kidding here. Skell Incorporated has marketed their Bug-A-Salt as both a pest control system and a new sport. Curiosity got the better of me, so I decided to do a bit of research, and what I found was quite interesting. Here’s my review of Bug-A-Salt. The name isn’t just a nice pun, it actually describes the system perfectly. 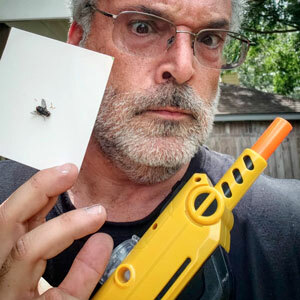 Bug-A-Salt is a salt gun for flies. Just aim, fire, and the effect is like using a shotgun on a deer. Of course, it does go a bit deeper than that. 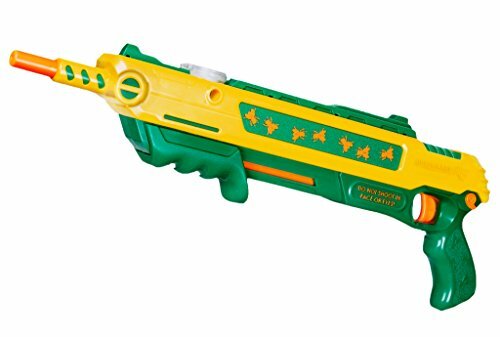 This is one of those amazing success stories, which dates all the way back to 1994 when artist Lorenzo Maggiore created the prototype Bug-A-Salt rifle. It took 18 years of struggle, but in 2012, Lorenzo was granted an official patent of invention. The rifle was placed on Indigogo in search of crowd-funding. By October, he had drawn the attention of the Wall Street Journal, which featured the Bug-A-Salt in a front page article. The year ended with 20,000 orders and over $570,000 raised from pre-orders! Since then, Lorenzo’s company, Skell Incorporated, has added several variations of the gun, a laser sight, and even signature sauces to their lineup. Grab the salt shaker off of your table (the company recommends Morton brand salt), and load the magazine the top of the gun. A little side window allows you to monitor your ammo magazine, which holds approximately 80 shots. The weapon is cocked using pump action, which pops up the sight to show it’s ready. One thing I really like about the Bug-A-Salt is that the pump will also automatically turn the safety on so that there’s less risk of an accident while the gun is primed. Never mind genocide, the Fourth Doctor should have just supplied the Daleks with Bug-A-Salts and a few buckets of maggots! 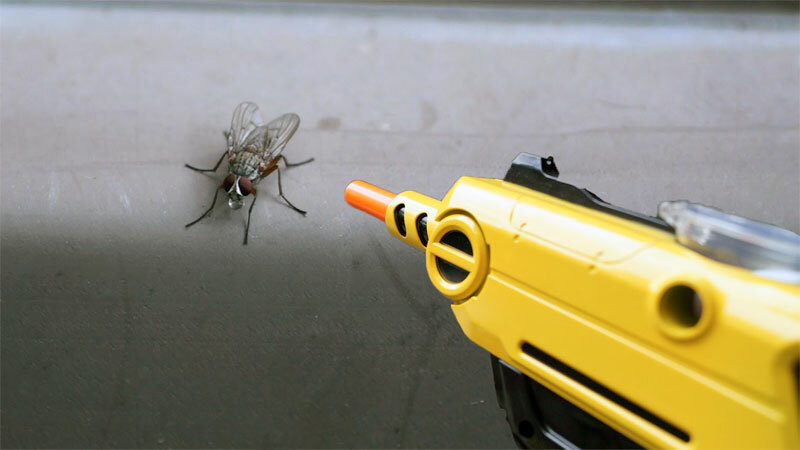 While the gun itself is used primarily for getting rid of those pesky flies, gun enthusiasts have latched onto the fact that flies are a seemingly limitless prey animal which can be hunted without needing a license. To this end, Skell Incorporated actually sells containers of live maggots so you’ll never run out of victims. There are two basic models currently available, one of which has three paint schemes. You can buy the guns individually or in discounted multipacks. The official Bug-A-Salt YouTube channel contains instructional videos for cleaning and troubleshooting your weapon, as well as some entertaining demonstrations. The standard gun with an improved power and durability over the original version, this gun can be loaded with ordinary table salt. Besides the yellow version, there are two camouflage models: the Camofly and Passion Assassin. Accuracy is about three feet, and the salt spray is gentle enough that it won’t damage anything fragile while still being strong enough to kill the bug. This is the perfect weapon if your flies haven’t been genetically engineered to fly out of an open window instead of landing on the pane. Note: Using kosher or sea salt isn’t recommended, as their compositions can cause clogs. Shoots a larger load of salt to combat pesky pests in the great outdoors. Non-toxic & no batteries required. Uses ordinary table salt. Eradicates: flies, mosquitoes, roaches, cabbage worms, aphids, stinkbugs, and more! Sometimes you want a larger spray using a larger gun. If so, then this is the model you want. Designed for a bigger grain size, the L&G is even closer to a shotgun and may actually blow holes in your target. 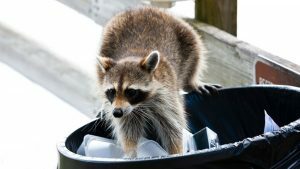 It’s best used outdoors to avoid dinging windows and other fragile surfaces. Due to the increased power, this version can take down a variety of garden pests and stun stinging insects long enough for you to squash them. Just be warned that excessive shooting in the garden can harm your plants (due to their natural dislike of salt). 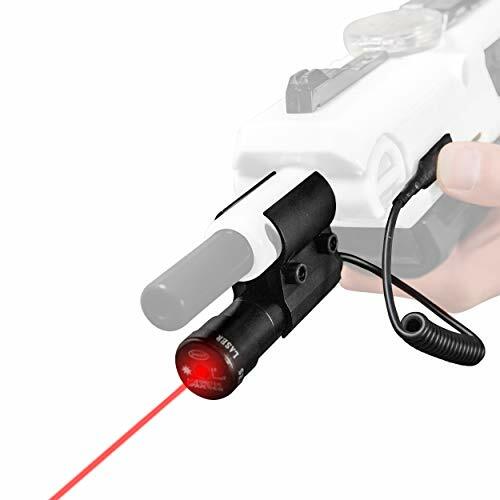 Whether you need to improve your shot or just like pretending you’re the Terminator, the laser adapter is an excellent addition to any Bug-A-Salt gun. Operated with a single battery and installed with a screwdriver, the laser sight can be calibrated easily to give you excellent line-of-sight accuracy. As the laser’s motto goes: “Once they’re red, they’re dead”. 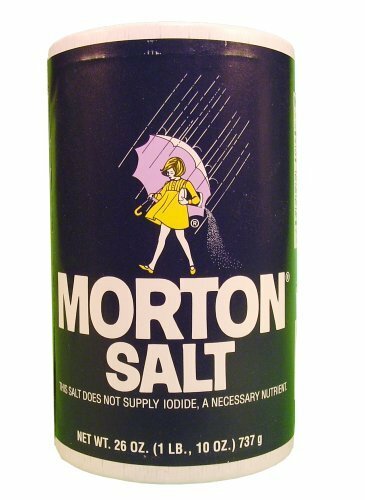 Most Bug-A-Salt users use plain old table salt and Morton’s is most often recommended. 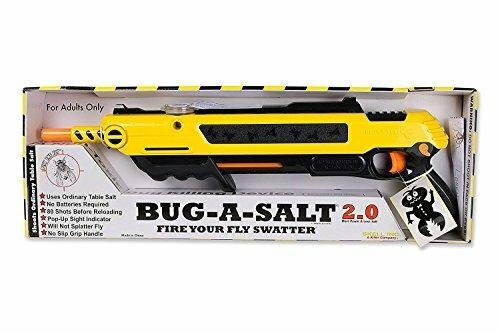 While a little more pricey than a pack of Morton’s, the official Bug-A-Salt… salt… is perfect for both ammo and cooking. The 26oz container helps ensure you have a good grain size and never have to worry about someone emptying the salt shaker right before a target appears. Live in a high humidity area? 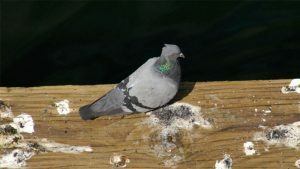 The inventor of Bug-A-Salt recommends small poppy seeds (the smaller the better) in place of salt for more effectiveness. 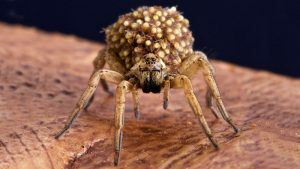 Being old-fashioned, I usually prefer home remedies and inventing my own techniques for getting rid of insect pests. As a result, I wanted to see what other people have said before making any final judgement on this unique bug gun. My creed: “Research should always come before a purchase”. Similar to the only good scene in Titanic, the best part of using the gun for many people is the satisfying sound when salt pings off of the target. But that’s not to say they didn’t enjoy the entire hunting experience. Many users claim the Bug-A-Salt is an addiction that has cost them dearly in the effort to find fresh prey. Other enthusiasts use it as a point defense when cooking outdoors. Two stories I ran across really stood out though. The first comes from families who have decided to make supper less boring by shooting their food to season it. Secondly, the gun appears to be quite popular in military zones where it’s reported troops like to use the gun during their downtime to hunt desert bugs. 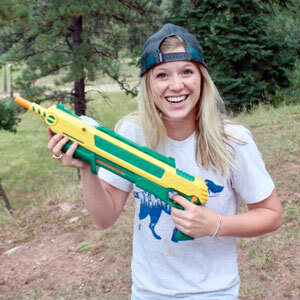 The gun isn’t water-proof, and it has a habit of jamming in naturally humid environments. This is especially true for residents bordering the tropics (ex. Floridians). Making sure you use regular table salt or storing the gun in a dry place helps reduce these jams. As noted above, using small poppy seeds in place of salt is recommended by the inventor of the salt gun. It also seems that a lot of people reporting issues kept the magazine loaded during storage. Some quality control issues should be expected from a home-based company. I pleased to see how many people commented on Skell Inc.’s customer service and readiness to correct any such issues. Note that a few people did receive more than one defective product before landing a good one. One other thing that really annoyed customers isn’t as easy to remedy. The gun has a very limited range of only three feet, making it good for close-range defense but less fun for hunting distant targets if you lack stealth. I don’t see any way this problem can be fixed without some major changes to the mechanics. The gun is meant to propel ammo without requiring fuel (i.e. compressed air, gunpowder, etc. 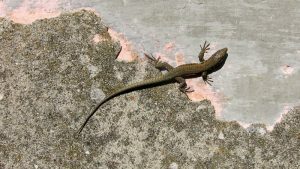 ), limiting its power. Admittedly, I’m not sure I’d ever buy this for the sport aspect, since I loathe flies and prefer to use a traditional zapper (I feed the corpses to spiders and carnivorous plants). 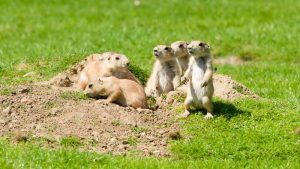 I do see the sporting value for hunting enthusiasts who can’t get out during open season. It’s also an interesting conversation piece or gift for most paintball/hunting/laser tag enthusiasts. That said, I wouldn’t pass on a chance to try this thing out, and will certainly be picking up some of those Bug-A-Salt signature sauces (incidentally, Crickettes have some excellent flavors available, if you haven’t tried them yet). The salt chamber only holds about a tablespoon of salt which is still good for 80 shots. It’s easy to forget to flip the safety switch before each shot and by that time, the fly is gone and probably laughing. Houseflies are easy kills from a couple feet away. The hard part is tracking where in the kitchen the dead fly landed if you have dark floors. Yellow jackets and wasps are tougher. A good first shot will usually stun or knock them down but your shoe might have to finish them off. Shooting your leg from a couple feet away stings.